Have you taken a look at the Gastronomixs archive? In our ever-growing archive, you'll find compositions such as ‘Tuna tataki with avocado and crab spring rolls’. Ever heard of tataki? Today our blog addresses this very special Japanese component. Tataki, also called tosa-mi, refers to a Japanese method of preparing meat or fish. The meat or fish is seared very briefly over a flame or in an extremely hot pan, cooled quickly by briefly marinating in vinegar, and then cut into slices and rubbed with finely chopped spring onions and ginger. The sudden interruption of the cooking process results in an unusual reaction: the meat or fish contracts, as it were, producing a particularly succulent texture. Tataki originates from the area around Nagasaki and the existence of a port here ensured the dish quickly spread to the rest of the world in the 19th century. 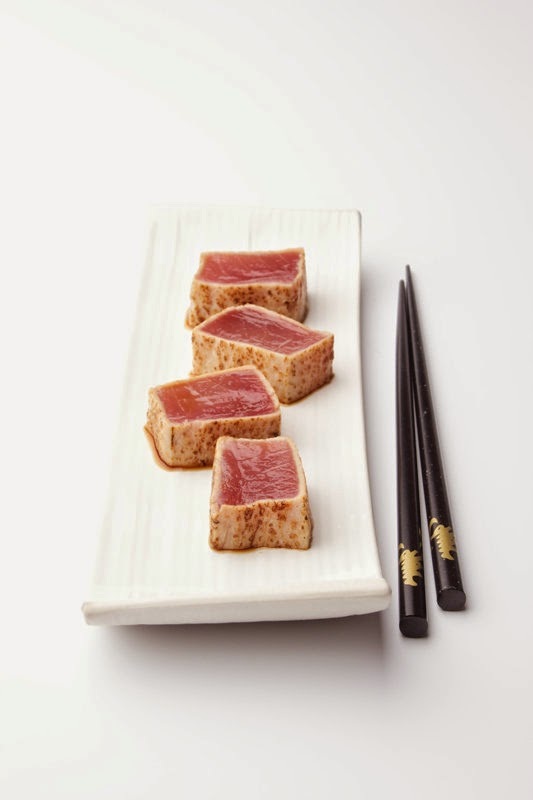 Take a look at Gastronomixs where you'll also find the component Tuna tataki. Combine this component in MyGSX with other components to create your own composition!